Have you thought about the music for the big day? A wedding is all about hundreds of details coming together; you can’t just decide on the venue and a wedding dress to have a complete wedding ceremony. There are flowers to think of, favors to plan, invites to design and of course the right kind of music and DJ to be selected. Each of these tasks need to be well planned and well thought over so that nothing goes wrong on the wedding day. The key to perfect planning lies with attention to detail and jotting down all that needs to be done. Therefore in this article we are going to advise you on selecting the right music or DJ for your wedding ceremony. Earlier on people used to have whole bands playing on their wedding, but now everyone prefers a DJ because this way you are offered a wide variety of music. When booking a DJ, it is always advisable to book at least a month before hand especially if you are getting married in the wedding season. Since most to-be-wedded couples would be on the lookout for the best DJ for their ceremony, you might not want to leave this detail out for the last days before the wedding. Plan for a reserve DJ besides the main one; you never know the DJ might cancel out on the last moments. It is undoubtedly a good idea to talk over the kind of music you want on that day. The music should be according to the wedding theme and location. Some couples love to have an up-beat funky wedding, while others go for the traditional elegant look and therefore prefer light music or jazz. You are free to tell them your favorite songs to be played at the wedding. If your DJ has been decided, don’t forget to instruct him about playing the music at all times. Good music that is continuously played provides ample entertainment to the guests and it also encourages them to come to the dance floor with their partners. Listening to the same music some years later is going to remind you of your wedding day, what you wore that day, how your groom or bride looked, how the evening led from one joyous thing to another; therefore make sure you select some quality music and songs. Many couples go for two DJs on the wedding day. This brings in a lot of variety and also takes care of the dull period in between songs adequately. Songs can be of any genre as long as you both are comfortable with them and if you believe your guests are going to enjoy them. Sad songs and songs that are about heartbreak do not go well on the wedding. The secret to a wedding’s grandeur lies in meticulous planning, right allocation of budget to different tasks and a great theme. Having lots of spare money to cater for a large wedding does not always mean that the end result would be spectacular. You need to be wise about planning a wedding in order to achieve the desired result. 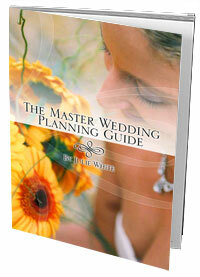 Everything related to planning a wedding is elaborate and usually on a large scale. Wedding invitations are amongst the first things that get decided when organizing the whole event. This is because they have to be first printed which takes some days and then addressed to individual guests before being sent out to their destinations. Again the courier can take up some days depending upon the city, state or country they are sent out to. You also need to keep the time for RSVPs, so you can book the caterer accordingly. Since invitations are something that you just can’t leave out in the planning, you do need to allocate a separate budget for it. Because it is one of the first things that get decided, couples are usually tempted to spend a lot from their budget and they end up spoiling it. And when odd little tasks start sprouting up, you realize that you don’t have enough funds left. Remember that expensive cards are not always the best choice and it doesn’t mean that all affordable or low priced invites would be below standard. In fact many a times, handmade and hand decorated invites look better than the printed expensive ones. They have an individual and personalized feel to them which is hard to surpass. Making a checklist and planning the invites well ahead of time will let you assign the task of designing the cards to a talented friend or colleague. With a little bit of imagination and intuition you can end up designing beautiful and unique invites. To make your creative juices running, take a trip to one of the best stationary stores in town. You will simply be amazed to see the collection of art papers, pens, colors, adornments, trimmings and of course stencils that they have for similar purposes. And if that is not enough, you can check out many of the D.I.Y sites over the internet that teach easy ways to make beautiful and attractive invites. Hand prepared invites are going to cost you way less than if you had gone for printed ones. However, since these are wedding invitations and not birthday cards, preplan everything and choose a look that is both sophisticated and elegant. Layering a shorter invite made out of art paper over a larger cut card and then running a ribbon on the side gives a nice little touch. To add more elegance, use a bit of calligraphy on the main invite to attract attention. The economic crunch has crushed a lot of desires of individuals over the past few years. However for a wise person, it is only a bit of a challenge rather than impossibility to save up on the side and plan a beautiful wedding that he/she has always wanted. The planning part might not be as easy as it would be if you had tons of money to spare; sure you would not be waltzing your way into the Hilton to book the ballroom and will not be ordering Master Chefs from across the country to prepare a lavish 5-course dinner. By putting your minds together and surveying the thrift stores and discount markets, you will be able to put up a great show that the guests will remember for a long time to come. The key to your success lies in the planning at the start of everything. Once you have the complete budget in your hand at the beginning, it will be easy to designate parts of it to different things. What you need to do at this point is to write down the absolute major elements without which you cannot have a wedding. For example, the bride’s dress, the venue, the caterer, invites etc. Once you have jotted them down, it is time to see which of these things you need to spend money on and which of these can be managed without having to dissect your budget. For instance, many people like to have their weddings in open, grassy areas, with a beautiful alter. If you would also like to have a wedding like that then how about asking one of your friends to see if it is ok that her parents could let them use the lawn of their big house. You can also have it arranged in an area of a park that is well maintained and not much crowded or simply go for the beach view. It also costs very less to have a church wedding, so maybe you would want to exercise that option and have the spare money spent in decorating it beautifully or on gorgeous flowers. When choosing a bride’s gown, it is wise to check out the deals on the internet first, as you would have a higher chance of landing a great deal there due to excessive competition. If you are unable to do that then you can go to a store where they are offering good discounts on last season’s collection. Buying the fabric and having a beautiful design made to your size is also not a bad idea. Other ways of saving money, to spend on the right thing when planning a budget is designing the invites yourself; your creative friends can be asked to lend a hand. And how about asking your colleague to capture those moments since you know he loves to indulge in photography in his spare time?